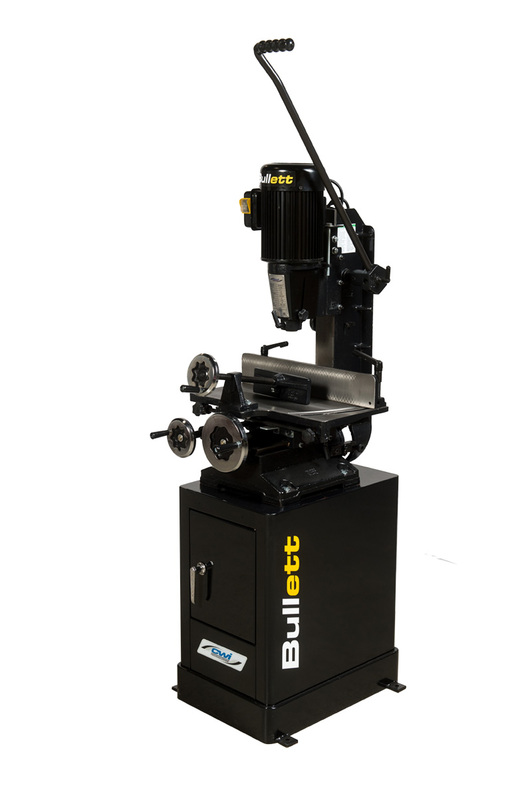 The Bullett CWI-M075T 1” capacity bench model “tilting head” mortising machine is a very heavily built cast iron chisel mortiser and the big brother to the M050T mortiser but with bigger capacities for extra heavy hobby, educational and commercial users. This is a very heavy built machine so we recommend the CWI-M070 enclosed heavy steel cabinet stand as a “should have” option when purchasing this machine. 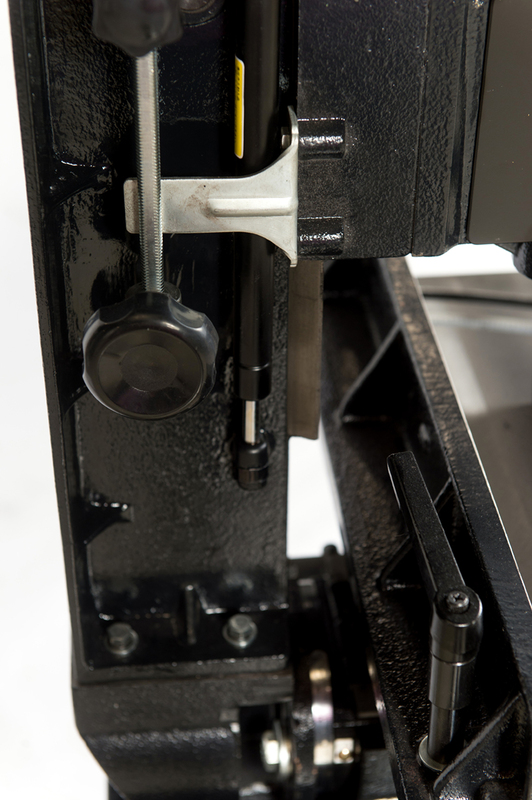 The M075T has the unique ability to pivot up to 30 degrees left or right for angled slots as well as it can be mounted backwards on the cast iron base for longer or difficult mortising operations. There are four sets of chisels and drill bits supplied with the machine from ¼” to 3/4” drilling sizes. 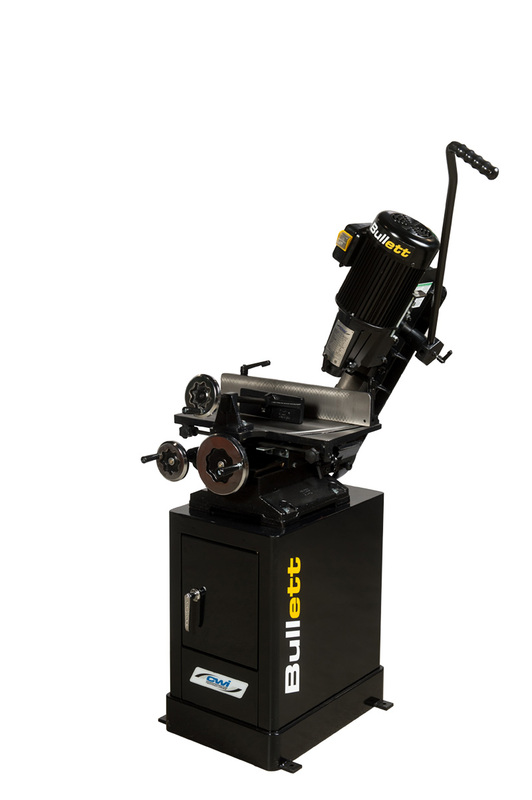 The head, column, and base of this machine are built from cast iron to ensure precise vibration free use for many years to come. The head slides up and down on cast iron dovetail ways with assistance of a gas filled cylinder to ensure a smooth operation for up to 10.5” of clearance under the chisel and drill point. There is a dual depth stop to help control the 8” stroke of the chisel for both up and down strokes which is performed with a large handle with rack and pinion for excellent fulcrum strength in more difficult hardwoods. The M075T uses a totally enclosed fan cooled (T.E.F.C) industrial 1 HP 10 amp motor operating on 110 volt to drive the drill head with a 1/2” capacity drill chuck. 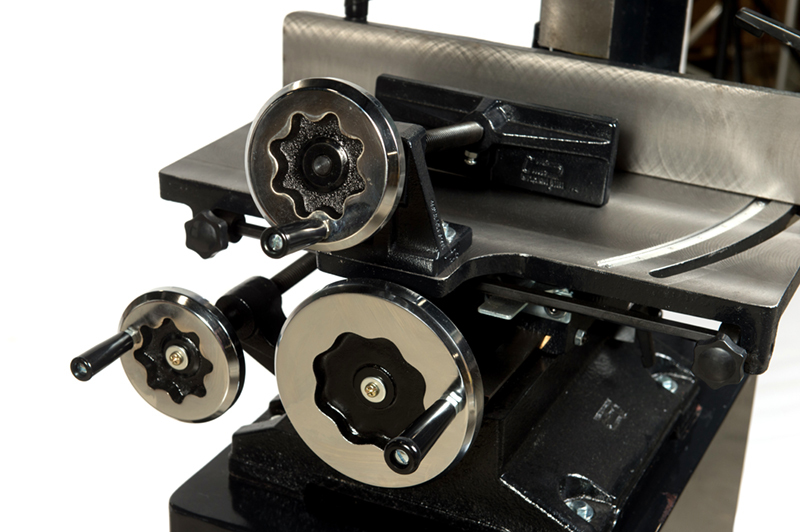 This machine really shines with its ability to perform holes, slots and louvers with its amazing moveable table system. The table moves up to 14” side to side and 4” front to back with rack and pinion or ball screw control by large hand wheels placed within easy control for the operator at the front of the machine. 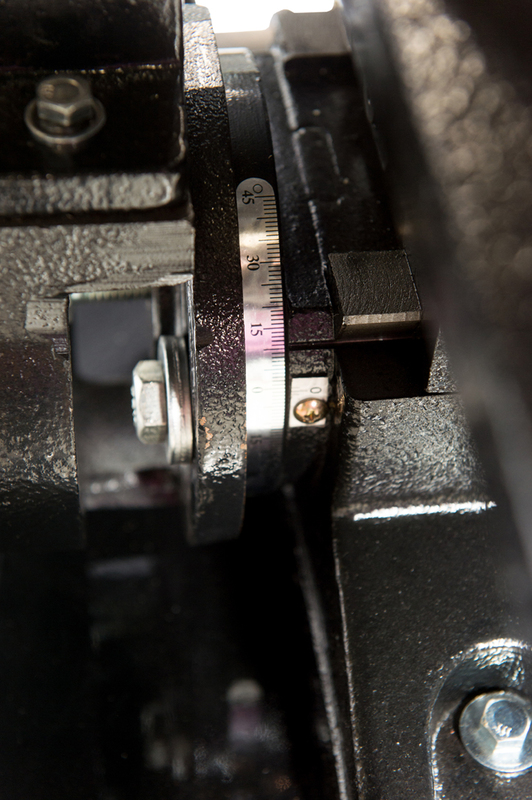 This makes adjustments for slots and mortises extremely easy and accurate. As well the fence angles out to 30 degrees to allow cutting of louvers or other angled slots. There is also a very strong cast iron hand wheel clamp system to ensure the work piece does not move while machining. 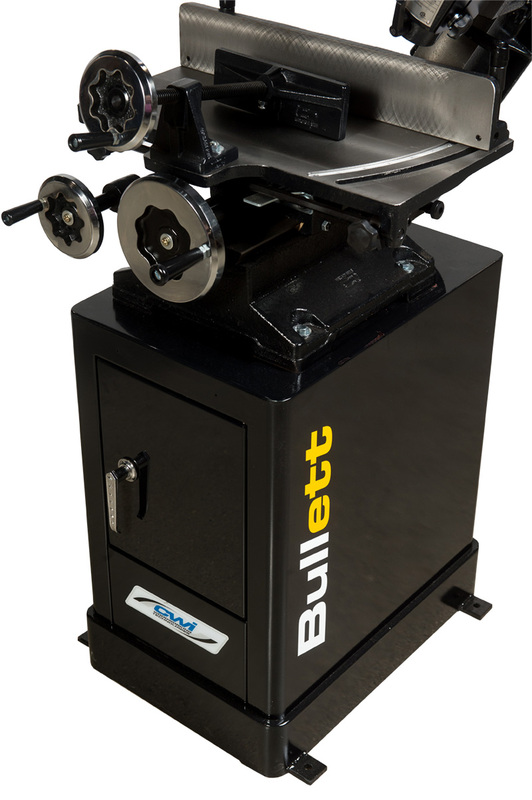 Bullett mortising machines are built to be the best mortisers available today with more features and performance than any competitive machine. The M075T is the ultimate performer made for heavy construction purposes and continuous use but also with precision and features that are sure to satisfy any user looking for machinery with high quality needs.